I've just got to write. The quality of your Flying Phoenix Heavenly healing Chi Meditation is just great. Your production values are head and shoulders above so-called instructional tapes. I purchased the three tape set approximately in Ocotober of 1994. After some sorting out and trial and error I am concentrating on tape #3. I practiced the set many, many times and each time i see something new. Als you offer other tapes but I have not even learned tape 3 in depth. I must have 30 to 35 martial arts tapes and dozens of books on martial arts and chi kung. Plus I have taken chi kung seminars in Shanghai, China. Also I have not fully scratched the surface of tapes #1 and #2. The quality, content and clarity of instruction are above anything I have experienced through any other means including two kung-fu schools and other tapes. The bottom line is that I am one happy and healthy 54-year-old from practicing your instruction. My sincerest thanks. May Buddha Bless You. This video series by the well-known qigong instructor, Terry Dunn, takes you step by step through the Flying Phoenix Heavenly healing Chi Meditations, a part of the martial, White Tiger Kung-fu, which was attributed to the Taoist monk Feng Do Duk, a legendary healer from Ehrmei Mountain in Szechuan province. He passed on the art to the ancestors of the Doo family in 1644. As in most complete qigong schools, which usually include a standing, a sitting as well as moving forms, this series includes three volumes. The first, called Seven Standing Exercises, consists of seven standing meditations, each with distinct postures and breathing patterns. the video includes side views and panels explaining the breathing patterns and allowing us to view Terry's movements from different angles. It is said in the qigong world that to build qi you need to do standing meditation. Here we can learn seven different ways to do that. In the second volume, called Six Seated meditations, we are taught six different seated meditations, again using various hand and body postures with poetic names such as Monk Holding the Pearl, Willow Leaf Palm, Wind Above the Clouds and Monk Gazing At the Moon. We are taught basic breathing for meditation and then led slowly through various hand and body postures. The first four can be done singly for at least five minutes. The last six should be done sequentially in sets of seven repetitions for each exercise. Volume Three teaches two intermediate meditative exercises called “Wind Through the Treetops” and “Moonbeam Splashes on Water”. Both are more challenging to learn that the basic exercises of Volumes 1 and 2, but if you can do Tai Chi, you can learn these easily. Volume Four is called Advanced Long Form Exercise and teaches a twenty-minute moving form. Building on what we learned in Volume One and Three’s standing exercises, we are led through this simple yet powerful qigong form. Terry guides us through the form in several creative ways, using different angles, including an overhead, so that we may view the movements from every way. Because of the great interest in qigong in the West, it is important to have available bona fide teachings by bonafide teachers. Too often students end up learning a little bit of this form and a little bit of another, while never learning any complete system. This series is a good example of a serious and gifted instructor who offers a complete system of qigong to the serious student. Dear Mr. Dunn, I've been doing the first volume of the Flying Phoenix system since last June and I've found that it's very concentrated. I really didn't understand what Chi Kung was until I started doing the Flying Phoenix system. (Of course I realize I'm an early beginner and have a very lot to learn.) Thank you for your time and for the gift of your teaching. So basically everything that a great system is supposed to do. I send my gratitude into the ether to close every session. After reading this thread, I got Vol. I a little bit ago, and I've been performing the exercises. I really, really enjoy FP compared to some of the other forms of Qigong I've experimented with. I injured my neck in an auto accident years ago. Though my Taiji helps, FP brings that mixture of pain and release that you get from an incredibly good massage, and once I'm done, it feels 100% better. Tonight, I even made my roommate do the exercises with me since her lower back has been killing her for days, and afterwards, she was almost completely better. Thanks so much not only for the videos but for spending so much time on this thread. It is truly appreciated. Here is a little about me before I put my question out there. I am 70 have been practicing some forms of Tai Chi and Chi Kung since 1976. Even taught some basic short and long forms in New Orleans in the '80s. for the last 15 years i have been a rancher in SE Arizona desert. So I have had little contact with other practicioners. Ranching is an everyday job for me. Now I find myself with some new help and a little more time so I am doing more tai chi chi kung. Recently, I bought the long form FPCK disk. It was immediately so powerful I have done it 2x daily. I also do some standing and a wu dang sitting meditation. The form has loosened every joint in my body ( my back pops during practice in subtle ways as do shoulders etc. ) The form was immediately felt during the learning phase and increased energetics continue. So recently I bought the 5 short form disk and have started learning those. Again I am amazed at the feelings and energetics at the early stages. My question is: how do I schedule these practices? I am doing long form at dawn and early evening, before bed actually. And i try to do Tai chi during the day sometime between chasing cows and repairing old pickup trucks. When and how do I do the short forms? should I do all 5 in one session or should I space them out. ok that's it for now. Thanks to Empty Water and wtm for pointing me to this thread. I am wondering if anyone else has practiced this system? Specifically, I am referring the the Chi Kung for Health Series by Sifu Terry Dunn. I have been practicing qigong for about 7 years now. I have dabbled in a number of styles of qigong, but mostly have stuck to the basics. I tried the Flying Phoenix system about 2 years ago, and for some reason the breathing sequence just didn't feel right for me. So, I discontinued. However, about 6 weeks ago, I scheduled a private conversation with Sifu Dunn to discuss the system. I was prepared with a number of questions. The conversation cleared a few things up that I was not quite clear on regarding the practice. Sifu Dunn was very informative and displayed genuine enthusiasm for this style of qigong, BTW. Then, I gave this system another try. It rocks! I hesitate to discuss a Qigong system I have only practiced for 6 weeks, however, I think this is worth a post. Also, I have an 7 year frame of reference. Flying Phoenix is seriously the most powerful qigong I have practiced. For me, it generates so much qi, that I have to limit how much I do per day, as my body is still getting used to the amount of energy created with this practice. The secret sauce here is the breathing sequences to begin each exercise. Master Dunn told me he had to get permission from his master to teach these methods. The breathing, followed by the movements of the system have provided quite astounding effects for me. So, I am throwing this out to see if anyone else has experience with this system. If yes, I would appreciate any comments. Regarding your question about playing ambient music during the practice of FP, yes, I find this works very well. In fact there are some pieces of ambient music that for me seem to be on the same wavelength of the FP energy and it enhances my practice. Also, I have one music track with about 30 minutes of a repeated "Om" chant, and that one really has quite a positive effect on my FP exercises. I have not tried practicing with headphones, however, I have a boom box that I adjust to an optimal sound level for playing ambient music. I see where you are headed with this though....there are noise canceling headphones. Sifu Terry did say that the practice of Flying Phoenix is *not* bothered by jewelry such as rings, necklaces, wrist watches, etc., so perhaps the headphones would not be any problem. Why don't you give it a try and let us know your experience? Back to ambient music...net-net I would say find the right ambient music and it can do two things for your practice: (1) it can serve to soften the random sounds of a household that can bother your practice and (2) If the ambient music is at the right vibrational level, it can possibly enhance your practice. I wish you continued success with your practice Aki Dan! I'm glad that you both have discovered the "amplified hearing" effects of the FP Qigong practice. FP Practice heightens and tonifies other senses as well because it works through the central nervous system which conducts the information from all of the body's sensory organs/apparatus to the brain. Playing ambient music and using noise-cancelling headphones are fine to do down the road; but I would recommend that when you start the FP Qigong training, you first practice a good stretch of at least 6 months with no artificial audio input or removal. Just do the meditations with ambient noise and light--naturally with no sensory aids. As stated in the guidelines on the DVD's, it's preferrable to practice in a quiet, secluded, clean, level, windless, warm-enough environment that's free from any types of disturbances. Just "work through" the heightened states of hearing where everything sounds 3x or 4x louder than normal. Don't consciously try to "protect" and shield that more acute and sensitized state of perception. Just go with it under the same external conditions. This will allow you to become more aware of what other sensory channels besides hearing the FP Qigong practice is affecting. As Allan Watts said in one of his lectures back in the 70's, "The secret of the Universe is letting it come to you." --and the Flying Phoenix Qigong lets It come in a big way. - Increased sexual energy. Seems some other posters have had this same experience. - On FP meditations where the hands move, the qi feels extremely "thick", effectively slowing my speed of movement. Often my hand movements become *very slow* as I allow the feel of the qi itself to tell me how fast to move.....and often it really is as slow as a "drifting sand dune". In general, I have found doing the FP exercises in the exact sequence as you have demonstrated on your DVD's to be the most effective for me. I do as many as time allows every day. And, I can distinguish the feel of the FP qi to be different than the qi generated by other qigong practices. It seems lighter, it's direction seems to move from lower abdomen to the head, it is more healing than anything I have experienced before. There are many good qigong systems that promise healing, more energy, etc. That said, I have felt the effects more quickly, more tangibly from FP than anything else I have tried. To be honest, from my perspective you really don't "hype" the FP style. However, it is really quite special. I am certainly enjoying both the FP practice as well as the benefits. Again, thanks for all of your posts on this board....I have picked up many helpful hints that have allowed me to incrementally improve my practice. First, we are all happy to see you back on the forum after a small hiatus. Your comments and insights are always very welcome and good reading. I have been doing FP for one year and 9 months now, and the quality of the energy I feel continues to become more refined. I have not hit a ceiling, and in fact consider myself but a beginner. I am not sure where a ceiling will be with this style. In November it will make two years of practicing Flying Phoenix for me and I will then make a post then detailing my experiences. For now, I am tying to go 100 days of FP practice without missing a day. I am finding this to be a challenge, but with excellent benefits. One benefit that I have documented before is that my skin has become much smoother and healthier. Before FP, all the years in the Florida sun had me going to the dermatologist every 2 to 3 months to have a keratosis removed. Since FP, I do not need to go. In fact, I had a period of very heavy work and travel a few months ago in which I got lax with my practice of FP, and sure enough, here comes another keratosis growth on my cheek. Well, I fell into a strong practice of daily FP, and the keratosis shrank and then disappeared...i.e., gone. Some would call that "spontaneous healing" however, I know better. That was a direct result of my FP practice. The FP energy healed it, and for me and those who know me, my skin quality is tangible evidence of one of the benefits of FP. You had also mentioned to look at the skin on the back of the hands and an indication of health. At 57 years old, mine were getting dry and cracked. Now going through my 100 day program, the skin on the back of my hands has become clear, smooth, healthy. Even though I have practiced now for 21 months, and have a very tangible feeling of the FP energy, I must admit I still don't understand what it is. I can say it feels quite a bit different that the energy generated by other styles of qigong I have tried. I know your advice has been "just do the practice", and I appreciate that, but at the same time any other clues you can share as to the nature of the actual FP energy would be greatly appreciated. If it can be described in words. In Catstaneda's books, Don Juan says one goal of a warrior is seeking power. I feel FP is one of the paths with a heart that lead towards this goal. Would you agree? This DVD instruction on Chi Kung standing meditations is excellent. It is a high quality presentation that is expertly done. The demonstration and instruction are easy to see and understand. It is a more demanding workout than it may appear at first glance, but it is well worth it. 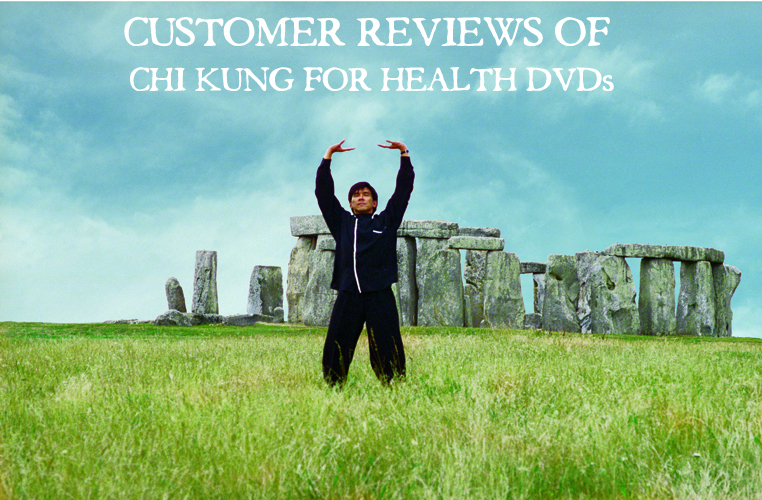 I highly recommended this DVD to anyone looking for a set Chi Kung exercises that are demanding without being strenuous. It is clear and easy to understand set of meditations that is well worth the price. It is also a good introduction to Chi Kung exercises. However, this is not a dynamic workout, and the movements are slow and tranquil. The background music is also a soft easy going set of new age tunes, and this is not an exercise set for someone looking for a fast and high paced workout. It is a calming and relaxing series of exercises that is soothing and meditative. It is also a fun set of exercises that are invigorating and relaxing without being too demanding and strenuous. I have found these Chi Kung exercises easy-to-follow and very effective at increasing an awareness of chi and its flow. Terry's explanations and demonstrations are very clear, and he takes the instruction at a nice, leisurely pace. The production of the DVD is excellent, also. Chi Kung is much easier to learn from a video, than Tai Chi, and produces benefits quickly. The only addition to Terry's instruction that I would like to have seen is something about the more "esoteric" elements of the movements. For example, when your hands pass near certain areas of the body, you are bringing fresh chi into those areas, in effect recharging them with energy, or redistributing energy. However, this is something you can intuit when you become adept at the movements. To help with learning the relationship between chi kung movements and this "recharging" with chi, I would recommend Wen-Mei Yu's book on chi kung. Studying this book will give you a good "feel" for how movements recharge the body with chi. All in all, Terry's are the best chi kung video/DVDs I have seen. These meditations are about 50 min with 10 min intro & slow, Qi Gong warm-up made with some of the fundamental movements & postures.All movements are done standing or in a small horse stance which should not be hard on anyone even with limited mobility as long as they can stand normally. There are only 2 movements one of which is "Monk gazing at moon" that your arms move at all & the last one, "Wind above the clouds" which includes mild stretching down to one foot at a time. All other movements are held still for 5 min though he encourages you to hold it longer on your own. All movements proceed with breathing beforehand such as inhaling, exhaling only 50% then only 30% then only 10% with normal inhale/exhaling in between each modified exhale. They do feel good, helping you to breath deeper into your belly for better oxygen like babies do. Any movements are also done super slow, slower then even most Qi Gong dvds I own. I did feel calmer doing it, but since my mind is always racing, I had trouble holding the postures & sitting still. Other people may not have as much trouble & get more out of it then me. I like other Qi Gong where there are more arm movements to keep my mind occupied. The background nature is beautiful to see and adds calming effect to the mind as well. Terrence Dunn does have great energy and this a beautifully done dvd. Very well presented and easy to follow I started practicing tai chi using his dvd for the yang long form and liked it so much I decided to try the chi kung. I workout regularly with tae-bo and low/high impact aerobics and found the tai chi and chi kung a perfect compliment. the music and the way he instructs are calming and informative enough to give you background to appreciate what your doing. I had been suffering from insomnia for more than 2 years. I often spent 3 to 4 hours just trying to fall asleep. I tried many things - running, weight training, different types of yogas. All of them worked somewhat but their effects did not last long. I first tried this DVD last January and the insomnia stopped on the first day. After six months the insomnia did not come back and I feel better in every aspect of my life. The exercises here are quite strenuous at first but become easier as you accumulate more energy. This DVD shares some similarity with Zhan Zhuang standing meditation. Reading "The Way of Energy" by Lam Kam-Chuen and doing some basic exercises there helped me do exercises in this DVD better. From the creator of "T'ai Chi for Health", Chi Kung For Health is a DVD that introduces the viewer to Chinese healing art of "energy exercise", Chi Kung (also known as qigong), that stimulates the body's innate natural energy to promote health, vitality, and longevity. Instructor Terence Dunn, who has more than 30 years of experience in the Flying Phoenix Celestial Healing Meditation discipline of Chi Kung developed over 400 years ago, guides the viewer through exercises designed to release tension, promote mind-body harmony, and encourage the fullness of energy. In Chi Kung For Health, viewers learn five basic standing meditations: Monk Holding Pearl, Monk Gazing At Moon, Monk Holding Peach, Bending the Bows, and Wind Above the Clouds. A highly welcome and recommended introduction and supplement to martial arts, yoga, exercise and health regimens, encouraging tranquility, balance, and flexibility in the practitioner. 58 minutes, color. Maintaining my health and fitness is important to me. Fortunately, I found "Chi Kung for Health, Volume I", with Terence Dunn. The exercises are not complicated and do not require postures that are difficult to maintain. Initially, I was skeptical of the stated health benefits of "Chi Kung for Health, Vol I". But after 2 weeks of daily practice, I did experience a natural boost of energy. Now when I exercise I find that I have a reserve of energy and more stamina. I highly recommend "Chi Kung for Health, Vol I" with Terence Dunn. I think this is a great DVD. It moves very slowly. It is very calming. Because it is seated, most people could do the movements. My arms did feel sore the first few days but then I got used to it very quickly. And I always felt so much more grounded afterwards. This is by far the best presentation of this Taoist set of exercises and although seemingly simple to practice they have good effect. Definitely recommend most of Terry Dunn's productions which are professional and easy to follow especially if a teacher is not accessible from where you live. I was given one of the dvds in this series as a gift and enjoyed the slow practice very much. Due to chronic vertigo, it is not always easy for me to find a practice that is comfortable for me and does not exacerbate my condition so when I saw this dvd of seated meditations I was eager to add it to my collection. On days when my vertigo is causing me problems, I will happily pop this dvd in and work through the meditation practices. A lovely and perfect addition to my personal practice. I have been looking for a seated qigong after practicing standing qigong for a bit of time. Terence Dunn is a very good instructor and the DVD is well worth the money. The background music is very mellow, but I am not sure where the desert-like back ground is filmed. Does anyone know? It is very well chaptered and you get clips from other DVD in the menu interface. I have been practicing yoga and meditation for a few years. This six seated meditations enhanced sensitivity to my energy body. I highly recommend this dvd for someone who wants to learn meditation. Terence Dunn is the best Chi Kung teacher on media. I have tried other tapes and DVDs over the years, but still come back to Mr Dunn. He is clear, precise and has a calming demeanour. I have yet to take one of his classes personally, but I do not expect him to be any different in person. If you want to learn Chi Kung from a tape or DVD, this is it. The DVDs including this one have a lot of features which allow you to customize your lessons. This particular DVD is the third in the series. They are standing exercises. Part I consists of basic standing exercises and Part 2 of basic seating exercises. This one, Part 3 assumes that you have mastered Parts 1 and 2. The energy builds upon ground covered by Parts 1 and 2. The choreography in these two exercises are a lot more complex. Once you have mastered the movements, you are supposed to perform them with eyes closed, after some breathing sequences. If you perform them regularly, at some point the subconscious mind appears to take over as your consciousness enters into a brown study, and you can actually feel the surging rivers of healing and thrilling chi in the body. You do not do the exercises necessarily looking to feel the chi. Just pay attention to doing them correctly. That will come. Undoubtedly it will come. Terrence Dunn and The Flying Phoenix Chi Kung is the best program that I have encountered for learning Chi Kung on your own. I have bought many other DVDs on the subject but none as helpful and easy to implement in your life. All his DVDs are excellent. I use this DVD for daily practice with my staff and patients. I could have given it 4 stars for still being in DVD. First, this is a superlatively beautiful form to watch and to perform. Secondly, this is an advanced practice. It would take most people at least 6 months of regular practice going through the first three phases of this practice to develop the skills to take on Volume 4. It takes a special commitment and perhaps that is not you and it is definitely not most people, so I have found. I give out Part One of Chi Kung For Health ( Qi Gong ) - Five Standing Meditations of this practice to everyone I know, and about 20% of them take it up and they are most grateful. This is a great practice for body, mind and spirit. It is holy; it is healthful; it is scientific. Yet, there are no words. Just do the movements, memorize the movements, do the breathing exercises before. Do not argue, do not think. Just do, and you will see results. How did the ancient Chinese discover this? I discovered Terry Dunn's series about 12years ago. They were then on clunky VHS, very hazy looking tape (he called them poor production values), but his instruction was just as detail oriented and precise. His voice was just as calming and the taiji background music, he still uses. This tape is much better than the first and the second editions, but it really needs to make it into DVD with all the great navigation. Bravo! Your "Flying Phoenix Heavenly healing Meditations" weekend workshop in St. Paul was superb! I believe that these Chi Kung exercises will prove invaluable for helping me balance and cultivate my energy. You have a real gift as a teacher, as evidenced by a thorough knowledge of the art, and the ability to transmit the material to your students. I plan to order your videotapes on the Meditations, as a reference for my practice. Thanks, again. --Dennis N. Heinke, Family Psychotherapist and t'ai chi ch'uan teacher, Appleton, Wisconsin. I wanted to let you know how much I appreciate you doing the Flying Phoenix Heavenly Healing Chi Meditations seminar. I thoroughly enjoyed the weekend and went away feeling as if I just found a buried treasure. These were three of the most profound days of my life. The series of Flying Phoenix meditations you taught were extremely powerful and yielded immediate benefits. The sensation of energy being cultivated and moving through my body after such a short period of time is very exciting. This system of chi kung is of universal benefit and I hope people in the health and martial arts professions realize its tremendous value. They too will surely benefit by adding it to their current practices. I will continue to utilize these exercises for my own health and well being as well as the benefit of my staff and students downt he road. I know they will be just as excited as myself when they exprience the benefits of this powerful system. I feel very fortunate to have been at the seminar and received so much benefit from your teaching and this system of energy cultivation. It was a truly a pleasure learning from you and I can't thank you enough for this gift of knowledge. It really is a treasure.